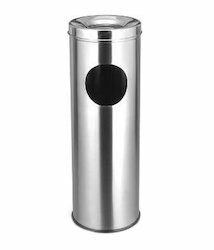 We are offering SS Push Dustbin to our clients. Start dealing in Gulf and Africa. We are wholesaler and distributor of by Push Can Waste Bin us are hygienic as well as easy to clean. These are available in different capacity and bears stylish and contemporary designs and textures. We can also customize these bins in terms of size, design, texture and raw material. A stainless steel Push Can available at industry leading prices. We are engaged in offering a wide range of Push Bins to meet the needs of our customers. 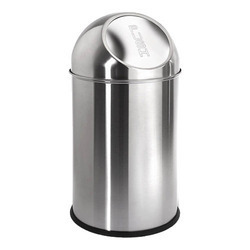 These bins are light in weight and can be placed in different areas as per the clients need. In addition to this, Push Bins are available in different colors, designs and sizes.